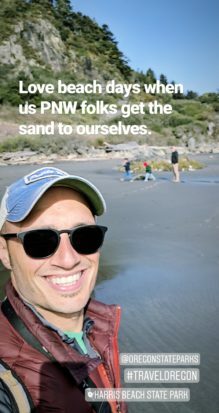 Note: we were invited by Travel Oregon to explore the southern region, but our itinerary and opinions are all our own based on our own awesome experiences. Why are we encouraging a visit to a zoo facility? 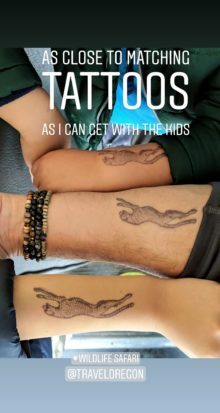 As long as you’re breaking up the monotony of long-distance driving, the whole family will enjoy the road trip experience and be more apt to have fun once you’re in your final destination. 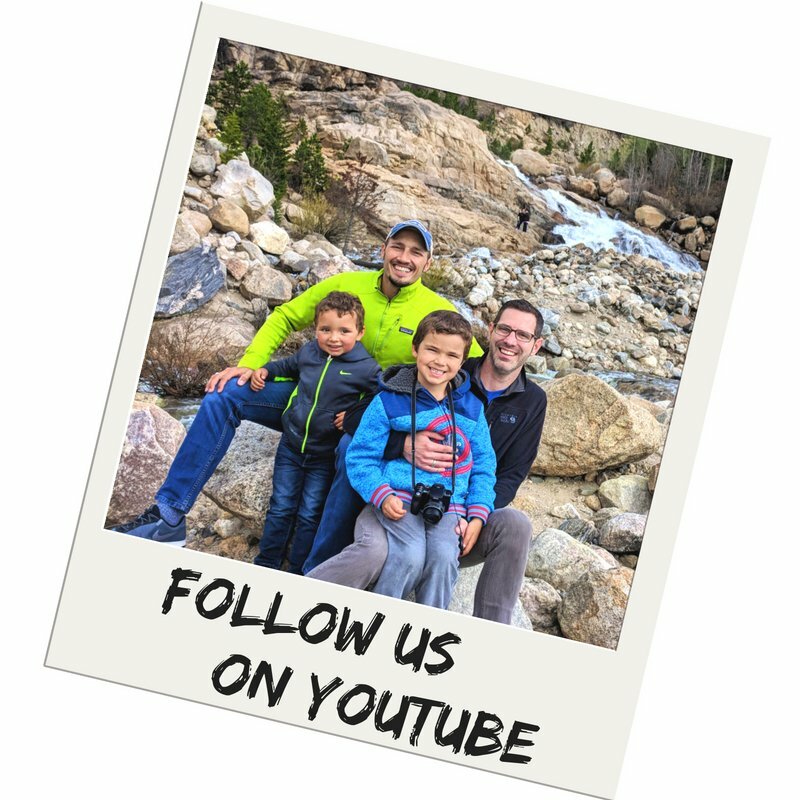 We talk about it often that the reason we’re able to travel as much as we do and have the kids be as cooperative as they are is because we’re prepared. When we’re getting ready for any sort of travel, these are the steps we take to ensure maximum success and minimal stress. 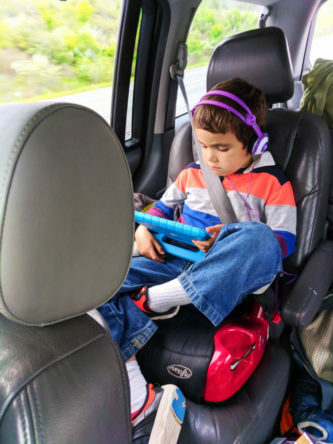 Between bringing the family along in the planning and giving the kids responsibility in their own packing, you’re able to make sure everybody on the road trip is partially invested in the fun. 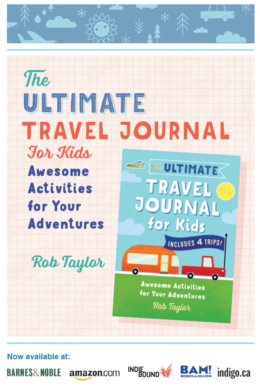 Even if you have a set travel plan, talking to the kids about it and setting some expectations for fun and interest is key to hitting the road with good attitudes and eager eyes. 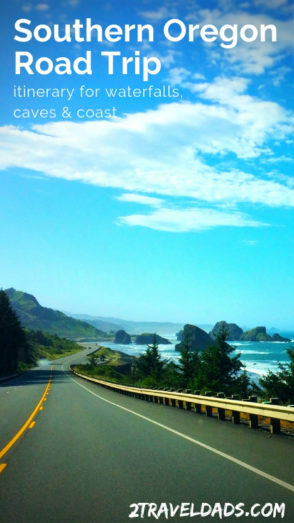 For us, heading to Southern Oregon means starting in Washington and driving south. This also means looping back up to eventually get home. 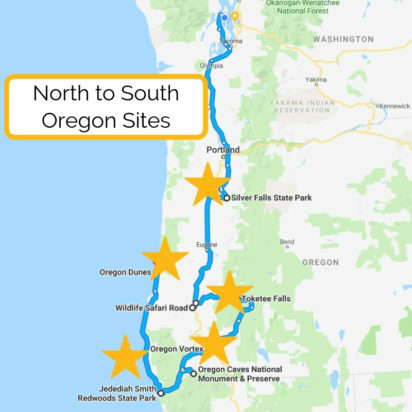 This Southern Oregon road trip itinerary includes some ideal sites from Cascadia to make the driving more fun and to not miss out on Oregon’s incredible nature. 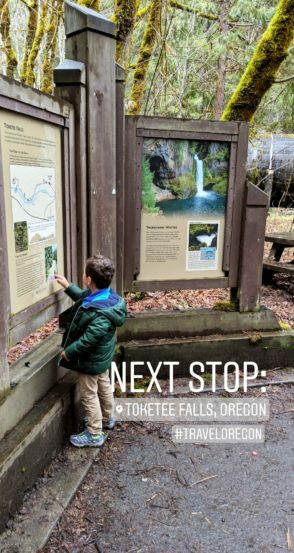 If you’re looking to start your trip through Oregon with something truly amazing, you should check out the Columbia Gorge Waterfall Area… and then start down our itinerary. 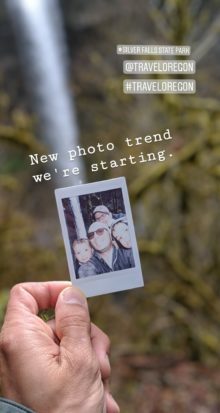 Located to the east of Salem, Oregon, Silver Falls State Park is really incredible. 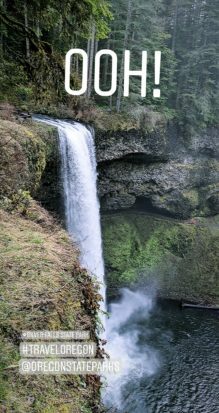 Silver Falls is home to 10 waterfalls and miles and miles of hiking trails. 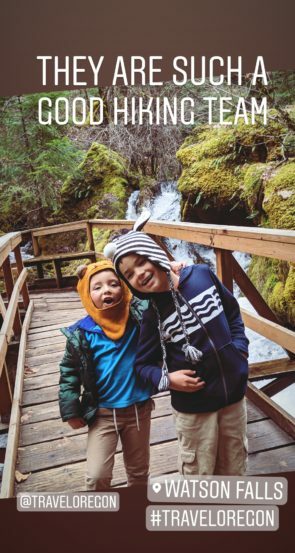 The highlights of the park include easy, accessible hikes to venture behind South Falls and more advanced hikes to go deep into the state park’s back woods for even more cascading streams. Tip: don’t forget to pay your State Park fee so you don’t get a ticket. 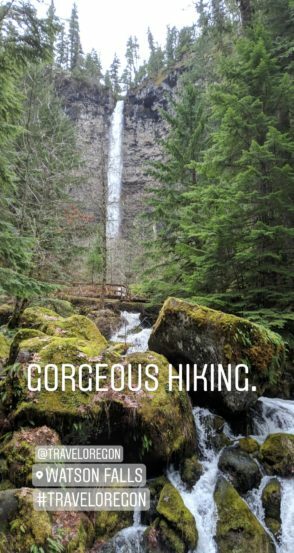 Recommendation: even though you’ll get wet, do the short South Falls hike to go behind the waterfall. It’s amazing. 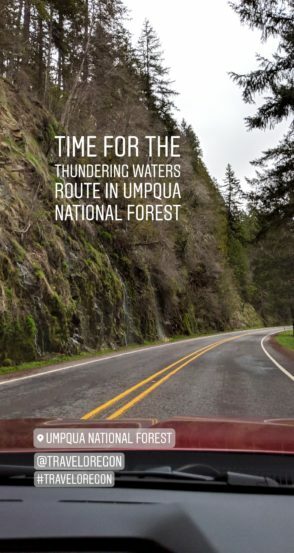 Roseburg is the jumping off point for the Thundering Waters, a waterfall trail through the Umpqua National Forest (brochure here). Roseburg’s downtown is cute and perfect for getting your hands on some very unique Oregon crafts and foods, but then when you’re done it’s easy to head east to the hills. The Thundering Waters route includes 10-15 worthwhile waterfalls (depending on the season). 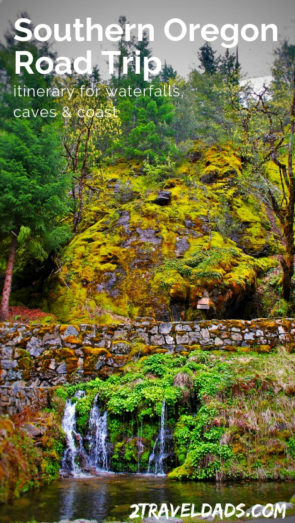 So exciting to see Southern Oregon in her full raging splendor in the spring! This gorgeous waterfall is the first must-see stop on the waterfall trail into the Umpque National Forest. Fall Creek Falls drops several times and the hike includes lush forests, cool rock formations and the waterfall itself. 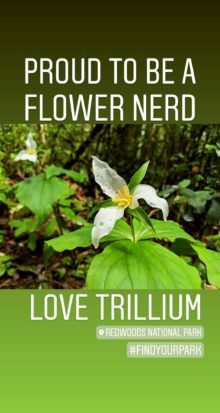 As of April 2019 the trail is partially impassable, but you can still hike through the rock crevice and check out Job’s Garden along the trail. Steamboat Falls is a smaller waterfall system but a shorter hike too. If you’re looking at add a beautiful sight without a lot of effort, the 1 mile round trip hike to Steamboat Falls is the ticket. Be prepared to get a little bit muddy depending on the weather, but also be ready for a beautiful sight. *We didn’t visit on our most recent trip. This is the coolest, most interesting waterfall on the Thundering Waters route. Tokatee Falls comes plunging off a mossy cliff, and when the water is high, roars with the most awesome waterfall growl. The hike is easy and the payoff is top notch. While it’s not a flat trail, it is well maintained and has staircases built into the hillside to make the trail easier. 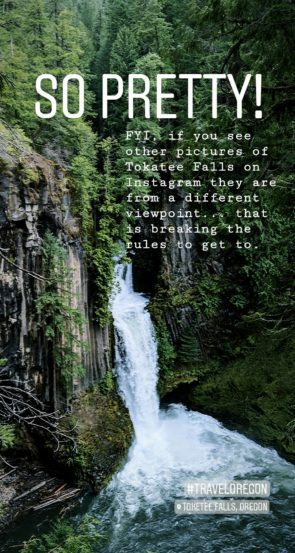 Note: if you look for Tokatee Falls on Instagram, you’ll see lots of gorgeous shots looking upwards at an epic waterfall. These are take from below the trail, beyond the designated area and is both unsafe and damaging the fragile land. 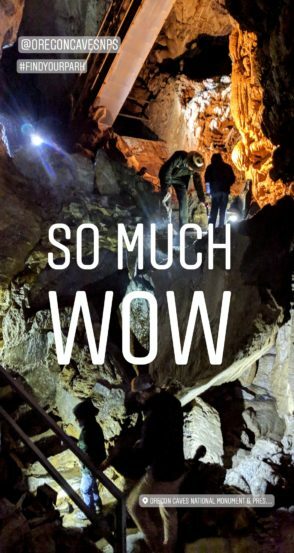 You’ll see there is a rope that somebody has tied to get to the bottom, but it’s more important to prevent erosion than you get a pic for the gram. 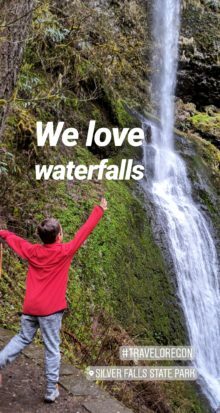 The last recommended waterfall on our Southern Oregon road trip itinerary is Watson Falls. 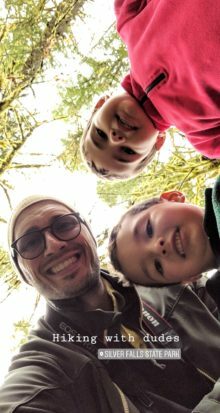 It’s a short loop trail at just 0.6 miles, so it’s perfect with kids. Watson Falls is pretty tall and very reminiscent Latourell Falls in the Columbia River Gorge. 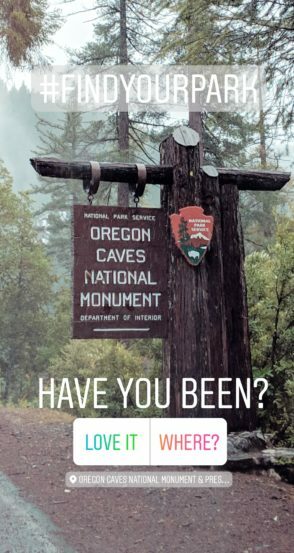 The hike, as of April 2019, has quite a few “tree tunnels” but as the forest service will have them cleaned up by summer. 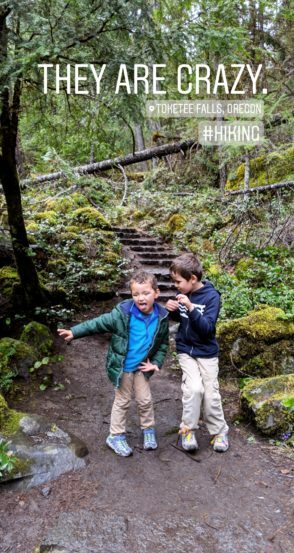 The hike is very easy though and the combo of mossy rocks and bridges makes it fun for kids. It’s beautiful. 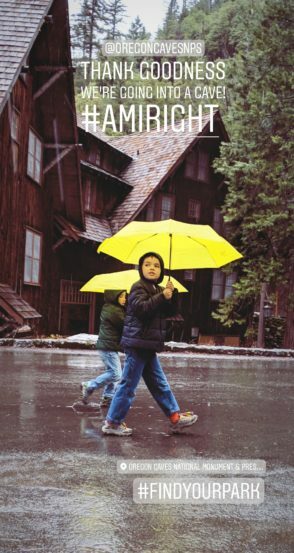 Ever since I was a little kid I wanted to visit the Wildlife Safari in Southern Oregon. Known for its cheetah conservation program, the Wildlife Safari is what a conservation zoo should be like. The breeding programs serve the purpose of species and gene preservation. The animals get to roam quite free across more than 600 acres. Visitors get to both observe creature is a wild environment as well as learn about conservation and preservation. Simple. After both researching and asking the Wildlife Safari staff some tough questions. 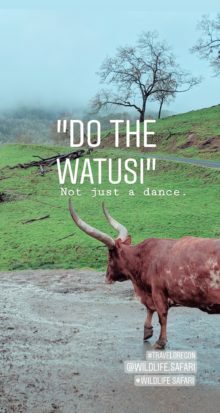 The Wildlife Safari was actually started by a big game hunter who had a life changing experience going back to Africa and realizing what hunting was doing and that he was a part of the problem. With that, he set aside land and started to collect at-risk creatures from around the country to ensure their survival. 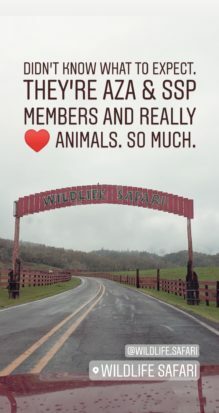 Over time, the Wildlife Safari earned accreditation from the AZA, Association of Zoos and Aquariums, and became a key participant in the SSP, Species Survival Plan. The SSP is a program that catalogs and manages gene lines of endangered or at-risk animals. They carefully choose individuals to breed to recreate genetic diversity and build up falling populations. The animals bred from the SSP are distributed to other SSP participating sites. Animals are only bred when they are at a certain point of endangerment and when they have a place to go. “But they shouldn’t be breeding animals for zoos. They should be releasing them into the wild.” Totally true, and that is the ultimate goal. The tricky thing is that animals born in captivity need to be trained from day 1 to be wild. They need to learn to feed themselves, how to find shelter, how to hibernate even. The Wildlife Safari is very active in this type of study and training. 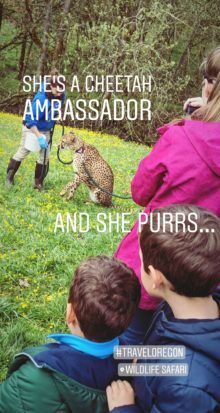 This is why there are some cheetahs at the Wildlife Safari that you can meet up close and others that you cannot. They have several cheetah ambassadors to allow people to see them and study them, but they also have a large off-view breeding area to keep the cheetahs away from people as they develop into adults. If you have further questions or concerns about the Wildlife Safari, we STRONGLY encourage you to reach out to the park with your questions. They are passionate animal scientists and friends and they are all about education and preservation. Probably the foggiest place in my own mind, the Rogue River Valley is a mossy, misty, gorgeous destination. Grants Pass is a surprisingly big city just off I-5. It’s a crossroads of mountain-goers and farmers. Their motto is #LiveRogue, and with the crazy river activities available in summer months, that totally makes sense. I wish we had more time here. Built in 1924, the Weasku Inn has seen nearly a hundred years of visitors. 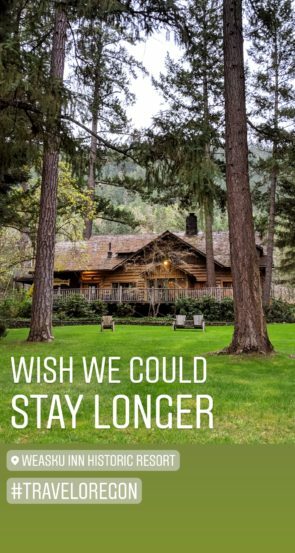 A collection of lodge rooms and cabins, the Weasku Inn is just what you’d hope to find near the banks of the Rogue River. 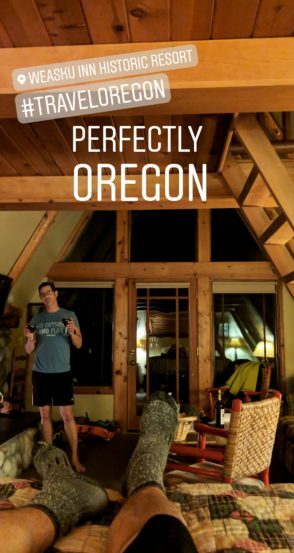 An optional stop on your Southern Oregon road trip itinerary, the Oregon Vortex is a place with odd magnetic fields and weird natural phenomena. We’ll share more info after we visit, but know that it’s one of those places that makes it onto TV shows and is both interesting and kinda funny. 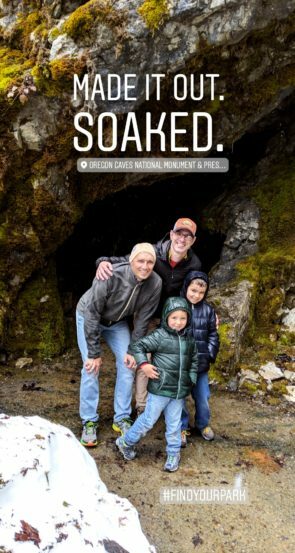 We love the Oregon Caves. Love them! 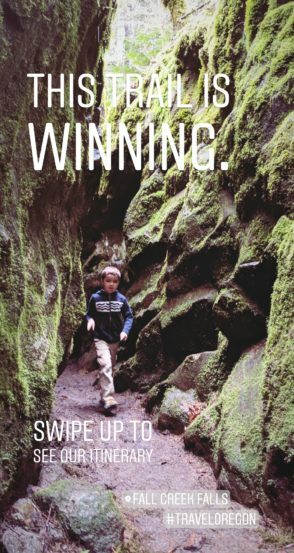 We first visited Oregon Caves National Monument in 2016 when the kids were very small. 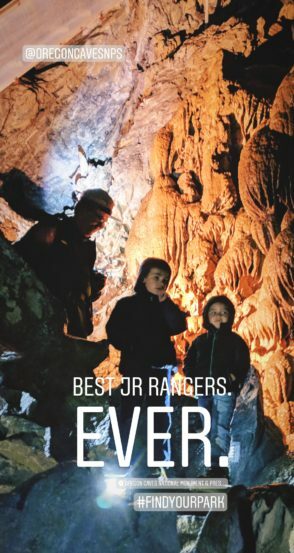 We did get to explore the caves on the ranger-led tour and then participate in the Junior Ranger program. 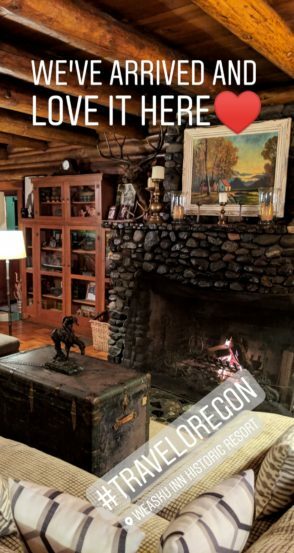 Also, on our first visit we were fortunate enough to stay at the Oregon Caves Chateau, which to this day is one of the coolest National Park Lodges we’ve ever visited. Note: the Chateau is currently closed and will be under renovation for two more years. It’ll reopen, refreshed, and meeting all fire codes. It will also have an elevator. 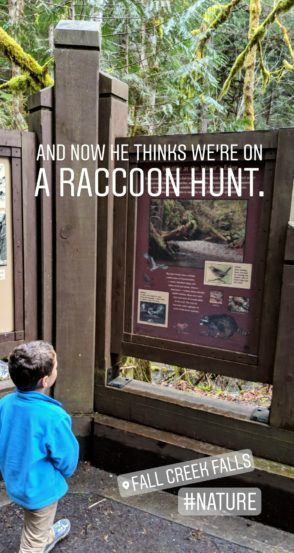 We had a wonderful ranger for our tour of the Oregon Caves and the kids were loaded with questions. We didn’t get to see any bats, but we were blessed with a HUGE cave cricket and countless harvestmen (daddy longlegs). The rock formations were incredible and the overall structure was just one big wow. 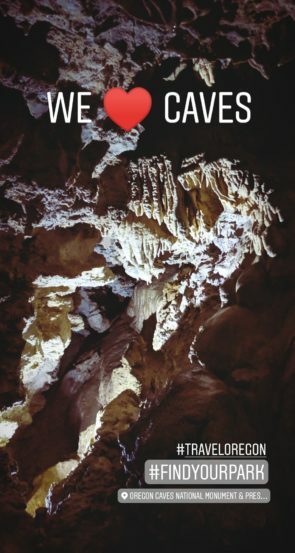 If you’re visiting Oregon Caves with kids, be sure that you have one adult per kid, as there are some slippery steep ladder-like staircases. Safety first. Tip: in addition to the Junior Ranger program, they also offer the packets for the NPS Jr. paleontologist and cave scientist. These both take a lot of work to earn the badge, but you can take them home and get your badge at another park with the program. 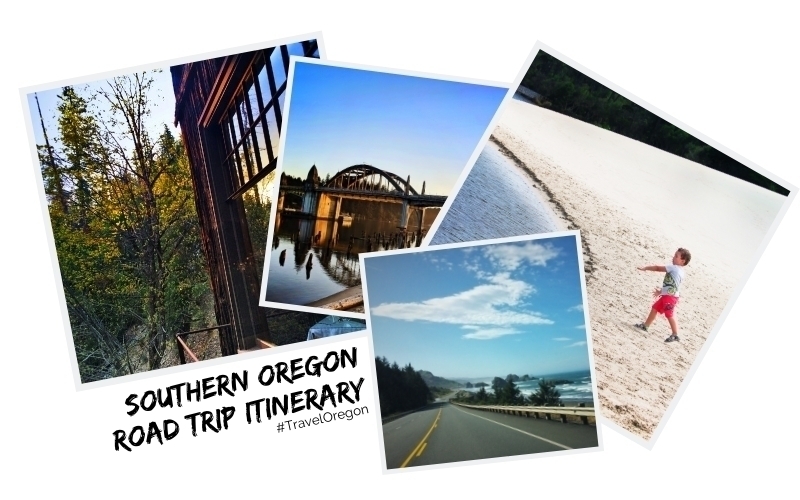 Yes, our Southern Oregon road trip plan does take you across the border into California, but just for a hot sec. 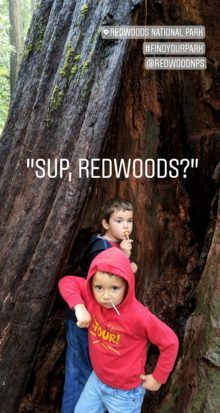 Since the route out to the coast isn’t direct, we recommend making an easy stop at Jedediah Smith Redwoods State Park or one of the other Redwood National Park sites. 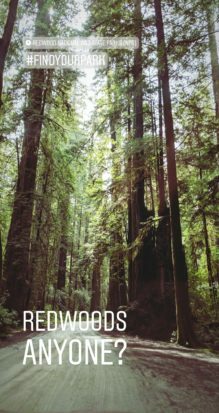 You can quite easily hike through the Stout Grove of redwoods, a 0.6 mile loop, and then hop back on the highway up to the Oregon Coast. 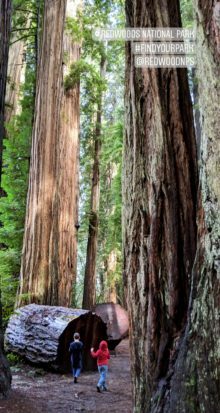 You won’t even lose any time really and you’ll be so glad to have walked with the giants of the redwood forest. The trees here are just as epic as any of the other groves within the National Park and make for the perfect break in a day of driving on you Southern Oregon road trip. 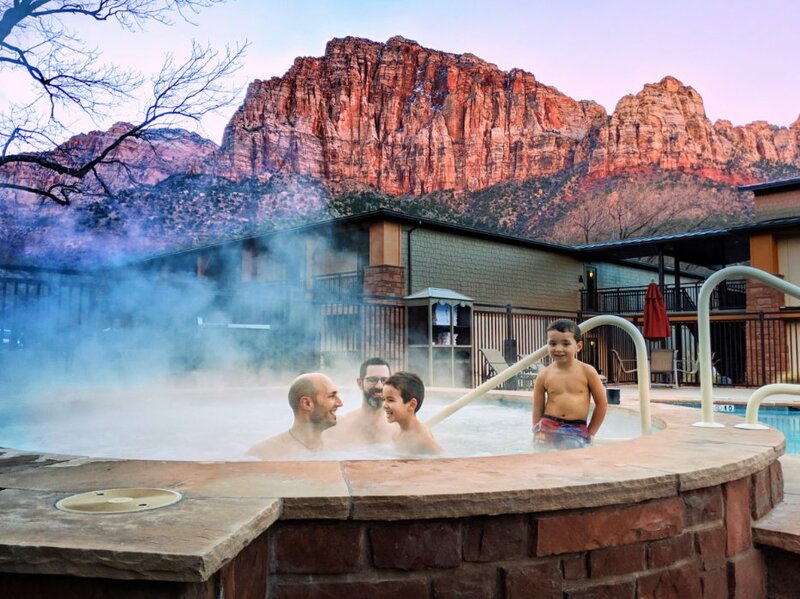 Relaxing is something we’re passionate about, especially when we’re on a family trip with lots of activities planned. 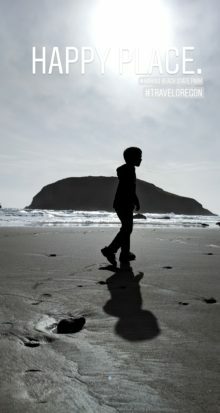 Our Southern Oregon road trip itinerary now takes us out to the coast to the small town of Gold Beach. 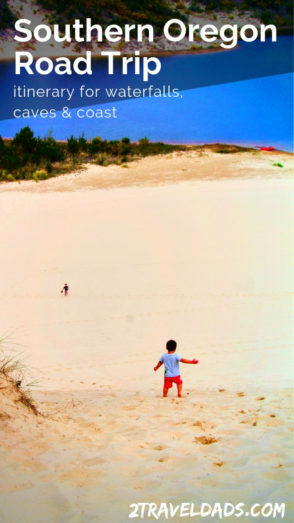 Here, the beaches have heavy sand perfect for walking and grassy dunes ideal for photography. 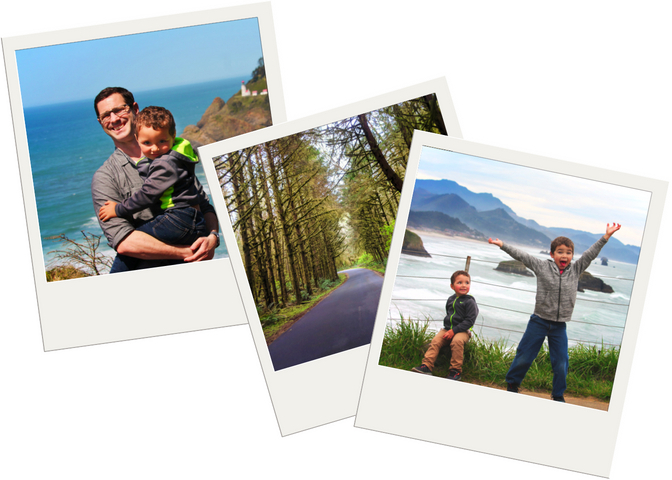 We’ve enjoyed staying in Gold Beach on several occasions and recommend it for its mellow vibe and close proximity to coastal hiking trails. On this trip, we had one day of sunshine and one of crazy coastal storm. Our time in Brookings was wonderful. 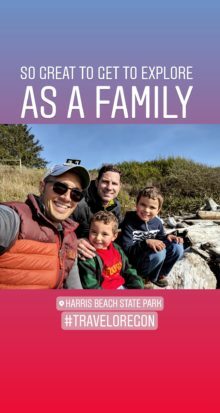 We spent the afternoon at Harris Beach State Park, which is known for its sea-stacks and perfect coves. We walked the beach, looked for creatures in tide pools and drew in the sand. 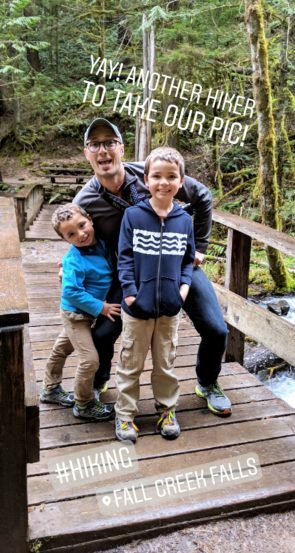 Being a PNW family, we know that the best beach days happen when the sun in shining and you’re wearing long pants and sweatshirts. 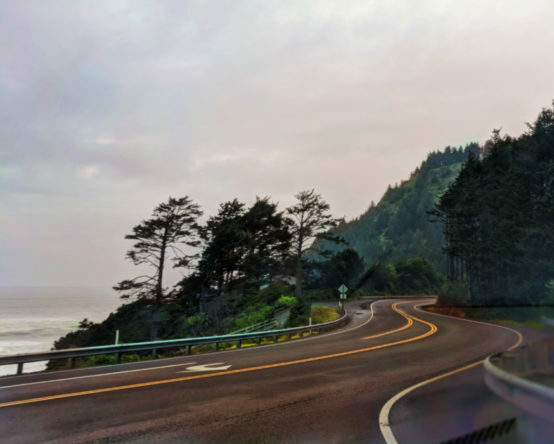 Tip: if you’re planning an Oregon Coast road trip any time of year, be sure to pack for cold and rain, because even in summer it can swirl in and take you buy surprise. Heading north up the Oregon Coast, our next stop is at the Oregon Dunes. A part of Honeyman State Park and the Oregon Dunes National Recreation Area. Whether you want to hike the dunes (what a workout! 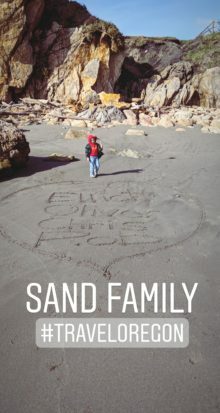 ), go sand boarding, do a dune buggy tour, or even kayak the lakes between the sands, there is something for every weather and mood. 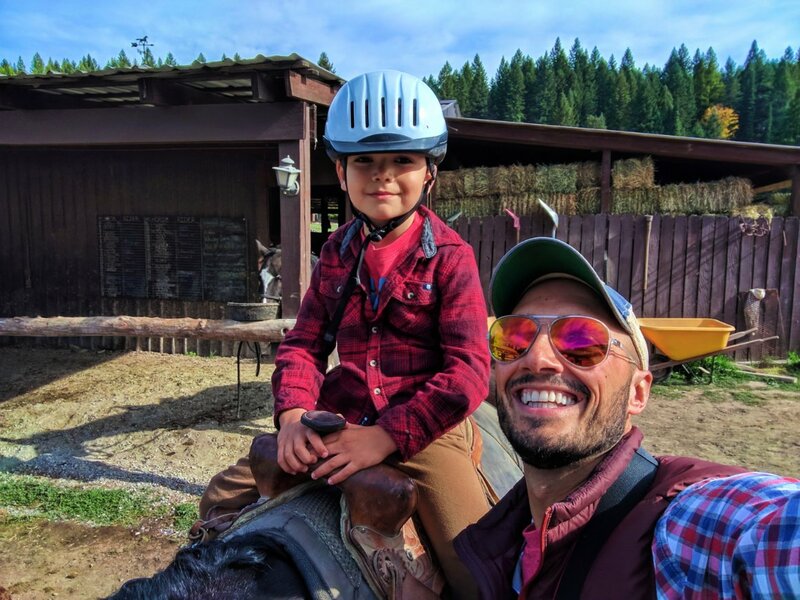 In addition to everything we noted in our Southern Oregon road trip itinerary, you’ll find countless cute towns, seafood spots, unmarked hiking trails, and misty mountains. 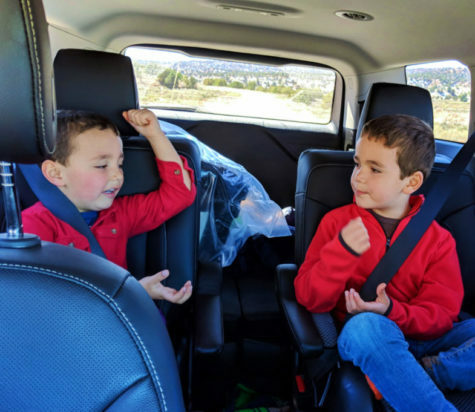 Remember our tips for a successful road trip (especially downloading offline maps) and have an incredible time exploring! This looks like an amazing trip. 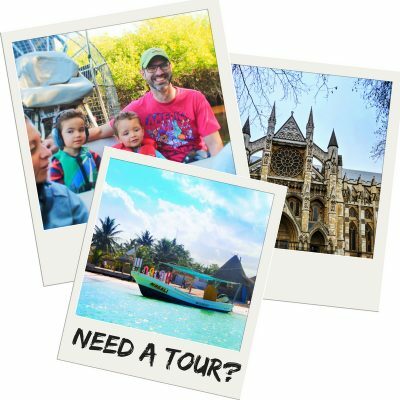 I do not like road trips, but excited to do the bottom half of this itinerary next month! If you aren’t a road trip person, this is a good one because there are so many stops that you can do as much of it as you want on whatever timeline you like. It’s really easy to break up the driving with hikes and sights.